Award 1 Coaching Over recent weekends, we have being running the Award 1 Coaching Course to develop our coaches within the club. The Award 1 Coach Education course is the second award on the coaching pathway of Gaelic Games. The course is aimed at coaches that have progressed through the Foundation Award and have experience as a coach. The Award 1 course has been designed to take account of the different playing capacities that exist between children (up to 12 years), youths (age 13 – 18) and Adults (age 19+) and the competencies that a coach is required to display when working with each of the playing populations. Therefore, coaches can specialise in coaching the particular players that they are involved with. The course is 16 hours in duration and covers a number of key modules including technical proficiency, tactical prowess, team play, physical fitness, playing facts, psychological focus and communication. Interested in receiving club texts re adult fixtures, club news, etc? Please text your name to 086 378 5432 requesting to be added to the distribution list. Blarney GAA have been awarded with a Gold accreditation in the Rebel Og Coaching Benchmarks. Rebel Óg Coaching Benchmarking 2020 was successfully launched in early 2015 and provide a template for best practice in coaching, promoting maximum participation and optimal playing standards in juvenile clubs throughout Cork city and county. The programme includes minimum requirements for entry, with subsequent progression to Bronze, Silver or Gold targets, which clubs would strive to achieve with the assistance of their local GDA. Bronze criteria are based on establishing a primary school coaching and games programme in schools within a club’s catchment area. Silver criteria are based on an appropriate programme of club coaching and games for 5-12 year olds, while Gold criteria are based on appropriate coaching and games for 13-18 year olds. Targets must be retained on an annual basis and clubs can progress along the spectrum of targets from year to year. Thus a progressive coaching pathway for clubs is incorporated, with optional elements also listed for clubs who wish to strive for even higher standards. Clubs who do not wish to enter the programme will retain access to all individual elements of the programme, such as Monster blitzes or coaching courses, however, GDA priority will be given to clubs who are implementing an integrated club coaching plan under the programme. The minimum requirements for entry include some essential club structures for the implementation of any coaching plan. Also, a requirement for all clubs to host a Kellogg’s Cúl Camp is included. The Cúl Camp must be organised according to the nationally approved guidelines outlined by Croke Park. ‘Urban’ exceptions may be necessary in terms of schools, which do not fall within any club catchment area. In such cases external resources may be devoted to fill any gaps. 2019 Membership Consider Family Membership? Blarney GAA Club have a close association to Blarney Camogie Club and recognise many families have daughters who play camogie. This coming season, families will now have the opportunity to avail of a family membership for €200. This membership category will give Blarney GAA Club membership to both the non playing parents/guardians and all boys under the age of 18, while also including Blarney Camogie Club membership to all girls in the family who play camogie. Fantastic value and by paying online, members have the option to pay over four monthly instalments. Benefits of Membership: Complete use of the all weather pitch for club activities. Playing members have access to the club gym & a certified strength, conditioning and fitness coach. Players participating in official club playing activities have benefit cover under the GAA Injury Benefit Fund. See www.gaa.ie for full details. Eligible to apply for & purchase tickets through the club for Intercounty Championship games involving Cork Hurlers and Footballers. Free entry to all car boot sales held in Blarney. Being an official member of the most famous and traditional organisation in the country and being registered officially with Croke Park. For members 18 years & over, access to GRMA (go raibh maith agat) which is the new GAA Membership Card programme providing benefits and rewards to you, as a GAA member. Using the Card or membership number will enable GAA Members to benefit from partner discounts, special offers and earn points for going to games. Giving support to your club, both financially through the membership fee but more importantly through participation in club activities. Having a say through voting rights in how the club is run at the AGM. Exclusive discounts to rental of club facilities for party bookings. Dr Harty Cup Final. On Saturday 16th February at 2pm in Pairc Ui Rinn seven Blarney men will tog out for Christian Brothers College (CBC) in the Dr Harty Cup Final. The college will play Midleton CBS in the competition’s decider. 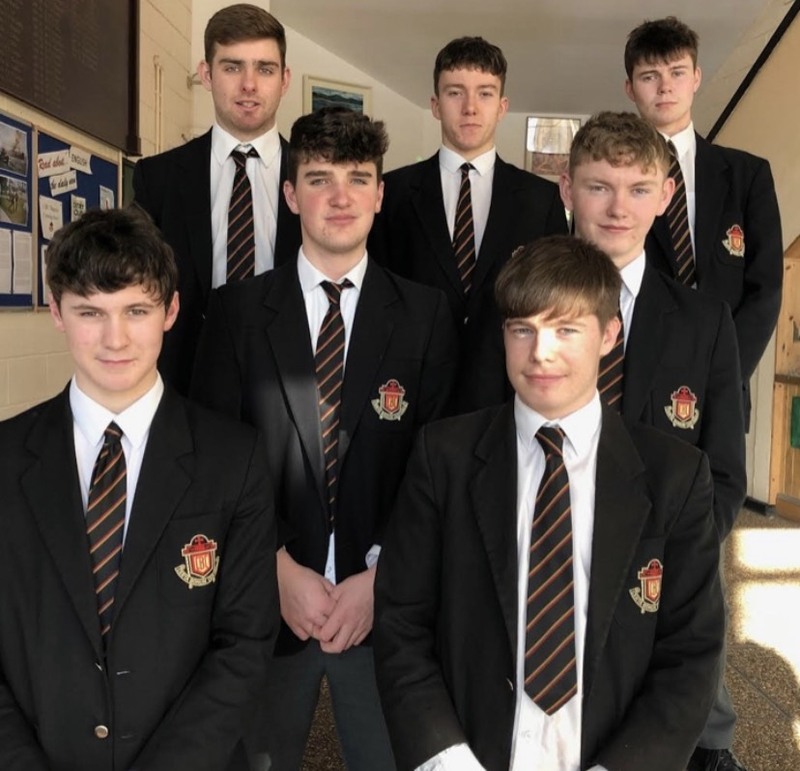 Clubmen, Shane Barrett (Captain), Dan Quill, James Doody, Paudie Power, Darragh Hurley, Denis McSweeney and Declan Hanlon will try and deliver Munster glory to CBC in the colleges’s first final since the competitions inaugural year in 1916. Everyone at the club would like to wish the lads every bit of luck in the final and also in the All Ireland series of the Post Primary competition.